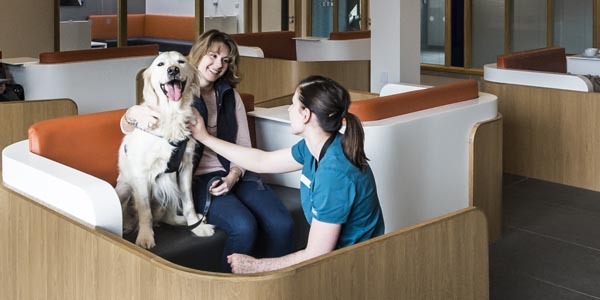 Through the dedication of our orthopaedic surgeons and extended patient care team, we are able to treat a variety of clinical conditions that require more bespoke intervention. 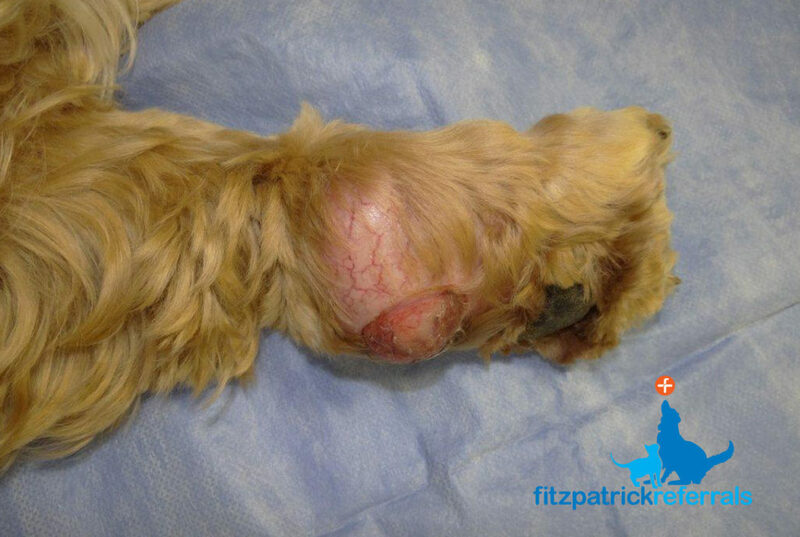 We asked the clinical team some frequently asked questions about limb sparing and limb salvage surgery at Fitzpatrick Referrals, led by Professor Noel Fitzpatrick who has innovated these techniques in companion animals and developed a number of world-first veterinary initiatives such as limb salvage prostheses and custom joint replacement implants. 1. What is limb sparing and limb salvage surgery? 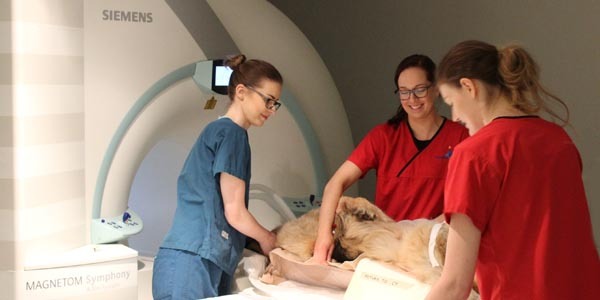 Limb sparing and limb salvage surgery reduces the need for full amputation of a limb in the presence of a tumour, a limb deformity or major trauma, and allows the animal to retain normal function of the limb. 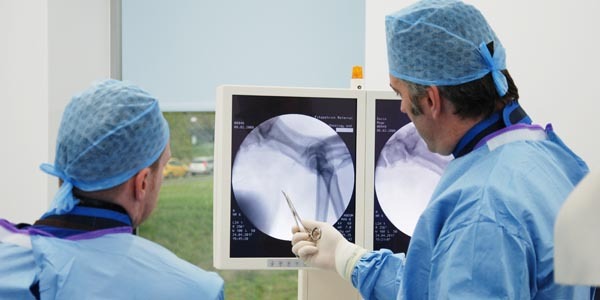 Fitzpatrick Referrals offers two options; endoprostheses and PerFiTS (Percutaneous Fixation To the Skeleton). 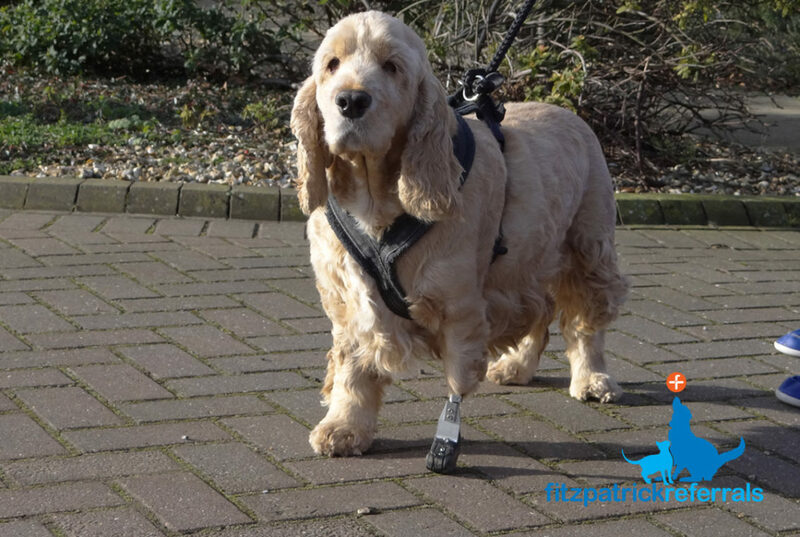 An endoprosthesis, most commonly performed on dogs with distal radial or distal tibial tumours, involves the surgical removal of the area of bone affected by the tumour, which is subsequently replaced by a metal spacer and attached to the surrounding bones of the limb. The PerFiTS is a custom designed implant that replaces the end of a limb that may be missing due to cancer, trauma or deformity. It has internal plates which attach to the remaining bone, a mesh to which the skin attaches and ends with a small peg protruding from the skin onto which a replacement ‘foot’ can be attached. 2. What are the most common cases referred for limb sparing and limb salvage surgery? 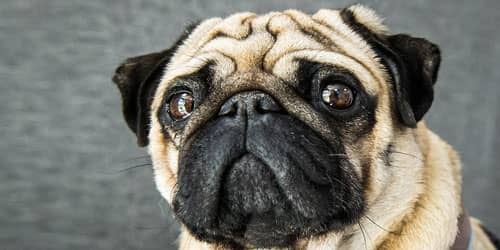 This type of surgery is an excellent option for giant and large breed dogs, heavy dogs, or those whose lifestyle would be impaired by amputation, those animals already living with three legs and animals with orthopaedic or neurological problems affecting their other limbs. The most common application of an endoprosthesis is in the distal radius of medium to large breed dogs with an osteosarcoma. The most common injury treated with PerFiTS is major trauma of the distal limb. 3. Are there any considerations to make before referring a patient? Not every patient is a suitable candidate, but submitting radiographs and photographs of the patient and the affected limb is usually the best way for us to assess their initial suitability. For patients with cancer, we work as part of a multidisciplinary team with our cancer specialists at our oncology and soft tissue hospital in specifically dedicated conferences designed to discuss these cases. We will always comprehensively stage their disease at the initial consultation. We will not carry out surgery if there is any evidence of metastatic disease affecting the lungs, abdomen or other bones, as mean survival time is not considered sufficient to justify surgical intervention, in our view, although full limb amputation may still be considered. Every patient is assessed on a completely individual basis and there are situations where we would consider full limb amputation to be the best option for a patient. We would recommend that tru-cut or punch biopsies are NOT taken prior to referral, as this may contribute to the spread of cancer cells within the surrounding tissue, negating the possibility of an endoprosthesis. Our goal is to always act in the best interests of each and every patient to provide optimal pain-free and functional quality of life. PerFiTS may be appropriate for patients with osteosarcoma but an endoprosthesis is usually a better alternative. Archie's ulcerated cancerous section of his foot. PerFiTS implant following amputation of distal manus & carpus bilaterally in a feline patient, Peanut. 4. What is the typical recovery time? Our goal is that patients will be able to enjoy long periods of exercise at home after 8-12 weeks of recovery depending on the implant. The main risks associated with an endoprosthesis are implant failure, infection and local or distant reoccurrence of the cancer, where applicable. Careful postoperative management will reduce the risk of early implant failure and with new generation implants, implant breakage is rare. We aim to prevent infection by adhering to strict postoperative management protocols during the recovery phase. Infection remains the biggest risk for PerFiTS patients, but other complications include failure or breakage of the implant (though this has massively decreased in more recent generations of the PerFiTS design) and failure of the skin to adhere to the dome meaning that the wound is exposed. It is extremely rare for the implant to break, but the potential risk should be noted. Every precaution is taken to prevent infection and other complications of the device both during surgery and postoperatively. 6. 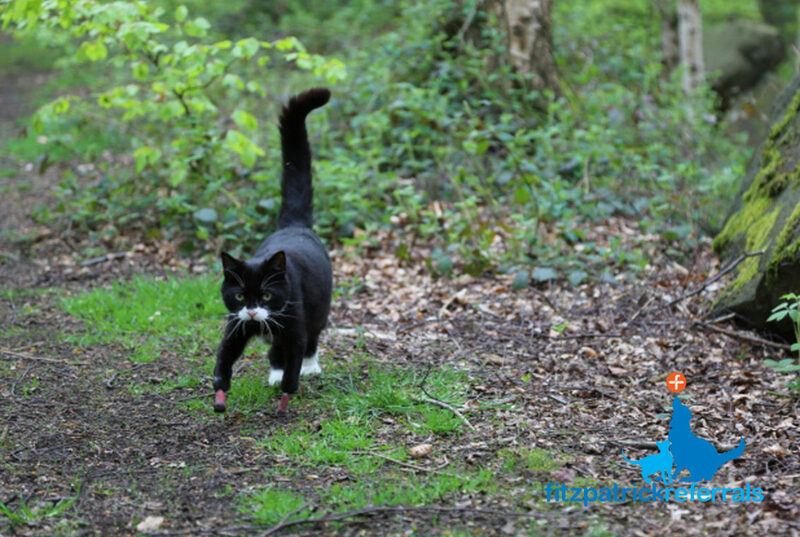 Can you perform limb sparing and limb salvage surgery on cats? 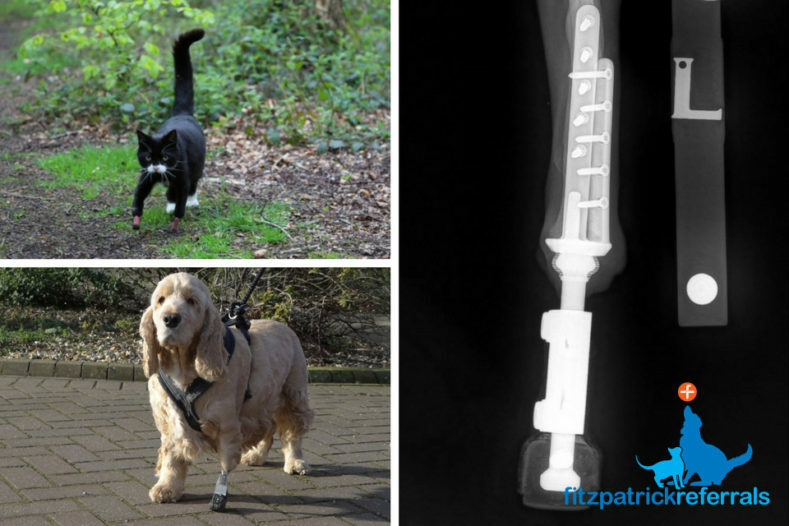 We have placed custom-designed endoprostheses and PerFiTS implants for a few feline patients, though it is rare. 7. Do you have any advice for vets? We are here to help you advise your client about all of the options available. We are more than happy to discuss patients over the phone with you and assess their suitability for the treatment through our Radiograph Reporting Service.